Use the code: hddguru if you are purchasing any donors from our online shop for a 10% discount on everything. Feel free to reply to this post if you have any questions. Remember https://shop.ultratec.co.uk too. Looks like the site is being updated. Thanks for sharing that link as well. 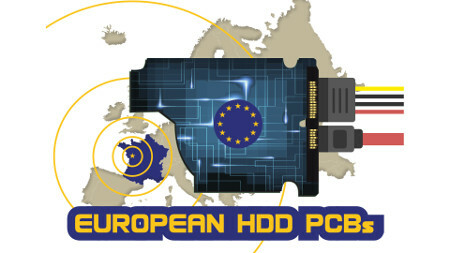 We need a good hdd supplier here in Europe! I hope you guys can get a great stock available!! Suggestion: list capacity of drives in the title as 1TB (currently 1.0TB). Most people will type in "1TB" in the search box. As is, the site returns no results. Thanks guys for all the positive feedback. We have now updated our search engine today which will provide suggestions for similar drives and will update as you type. Also the donor matching guide is in progress and will be released within the next week. There will be a separate page for every brand with Seagate being the first guide to be released. Good point "labtech" and thanks for your feedback. This has been fixed now and all existing drives updated on the site. Yesterday I found these guys for PCB donors. I just ordered one and at a good price. I don't understand the pricing, either. I had my translations checked recently by a english native. so now english speaking customers can easily see my tutorials and search their PCBs. but I didn't double voices. Well, am aware of this, also you should know that PCB Factories are located mostly in China, so why should i pay more if i know the source with cheaper price? unless you cannot wait for your order and time is important. BTW, some time ago i used to buy those pcb`s for 6$ till 2y back they increased.